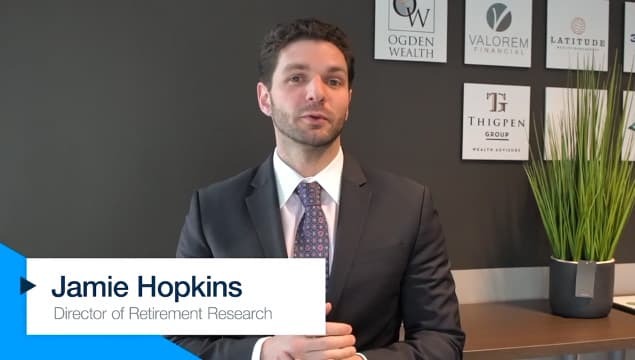 What are the primary considerations in saving for retirement? Starting early in your career, put away as much money as possible. Albert Einstein once remarked, the most powerful force in the universe is compound interest - the earlier you start saving, the more you accumulate. When it comes to saving for retirement, what are your choices: stocks, bonds, cash - let's settle on these categories. On average stock funds return almost 10 percent/year, while bonds realize an average annual return of 5.5 percent. Keeping funds in cash results in losing buying power because cash lags the rate of inflation. Ponder this: as mentioned above, the average return for an investor in a stock mutual fund (before fees) is 10 percent/year. Sounds right, given the information above. But what's the average return for investors in funds? It's more like 4 percent. Why the difference? Because many individuals move money in and out of the market, or switch between different funds to chase returns. It's often said it's not timing the market - a fool's errand - but time in the market. And what does a 10 percent return on $100,000 over 10 years mean compared to 4 percent: $259,374 versus $148,024, a sizeable difference. Stocks and bonds - how do you choose between them? Both play a part in financial planning. You may say, why use bonds if stocks realize a higher average return? Because diversification is key to any investment account, and bonds and stocks typically don't correlate in return, and even though stocks are up almost 70 percent yearly over time, they can have terrible years. Bonds act as a ballast for a portfolio and typically less volatile than stocks and positive most years. In a bad month, stocks can drop 15 percent or more while a poor month for bonds might result in a loss of say, 2.4 percent, which is what happened in November 2016, the worst month for bonds in a decade. The percent allocated to each depends on your risk tolerance, but placing 60 to 75 percent in stocks and the remainder in bonds and cash makes sense. Why hold cash at all? In your early years of saving, an allocation to cash isn't necessary but as you approach retirement, you should consider your cash needs in a year-plus - you don't want to be selling stocks to generate cash when the market goes down. What are the investment vehicles to consider? As an employee, your selection will be limited to a selection of funds. There are two issues to consider concerning available choices. First, simple is better. You don't need five or six funds. One is sufficient, if a broad index option is available - that is, one including U.S., international, large, medium and small companies. Vanguard Total World Index Fund, which includes both domestic and international stocks, is one good vehicle. Some investors may be more comfortable with a U.S-focused fund. Vanguard Total Stock Market Index Fund, is another good selection. Why a global orientation versus a U.S. one takes more explanation than available here but for most investors a global index is a good choice, as international stocks have lagged in recent years and are due to revert to their historic mean return, meaning over time outperform a U.S. focused index. Second, you don't need high cost mutual funds, annuities or actively managed funds. After fees, the majority of so-called actively managed mutual funds underperform their indexes. If your company plan does not offer low-cost index funds, ask it to do so. Vanguard Stock Market Index, for example, has a fee of just .04 percent. Mutual funds and exchange traded funds cost, on average, .52 percent, with many 401K fund offerings typically being much higher. Do you need a professional money manager? Once you retire and get in the range of $500,000 and more a professional may be able to add value in terms of meeting your particular situation, i.e., he/she can advise managing cash needs, portfolio rebalancing and financial planning. The type of professional is something to consider. Some are so-called brokers, those having the legal responsibility to offer "suitable" investments. Others, are registered investment advisors, with the legal responsibility to act as a fiduciary, meaning placing your needs above his/hers. The distinction is typically lost on most investors but it's real and something to consider when selecting a professional. Also, check out his/her background. You can look online with FINRA - Broker-Check - or contact your state securities regulator. Consider his/her education, complaints, how long she/he been an advisor - spend time on this. The point is be in control of your financial destiny. It doesn't need to be complicated. One broad index fund is typically sufficient. Start early, limit fees, keep it simple, play it straight and don't look to shoot the moon financially. Mark Connolly is a registered investment advisor and principal of New Castle Investment Advisors, LLC, in Portsmouth. He is also the former director of securities for the state of New Hampshire.